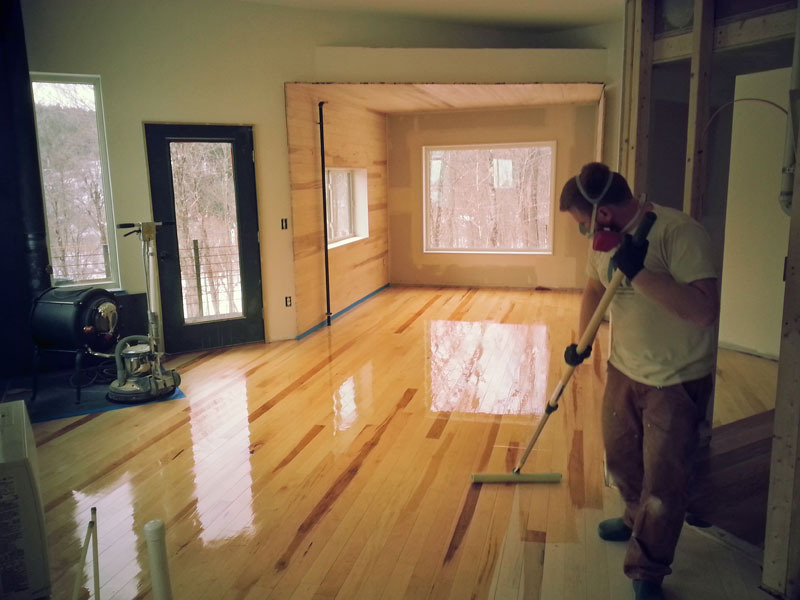 At Green Mountain Eco Floors, we take care to provide our customers high quality services personalized for their unique needs. 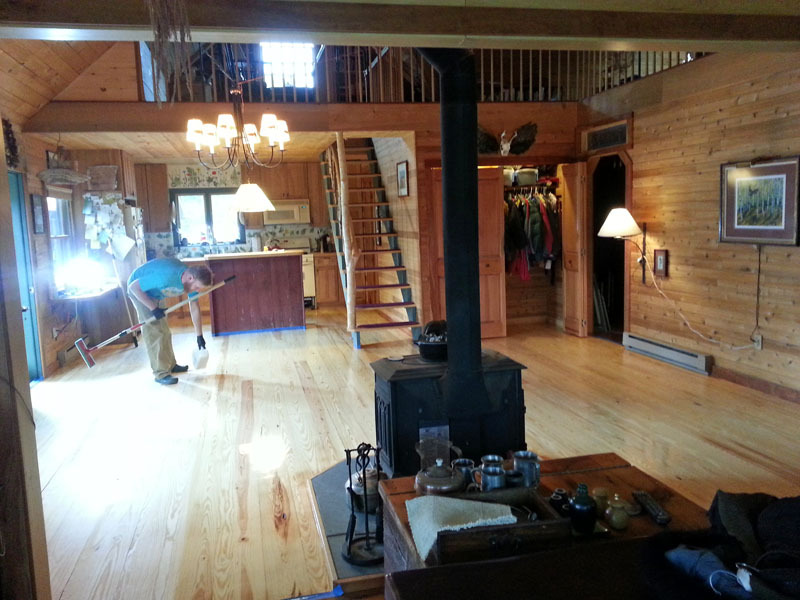 We install quality hardwood floors from a variety of woods. If we don’t have it, just let us know what you want and we will try to find it for you. We also have all of your maintenance needs, and will help you learn the basics for maintaining your beautiful new wood floor. Have an old floor that needs refinishing? 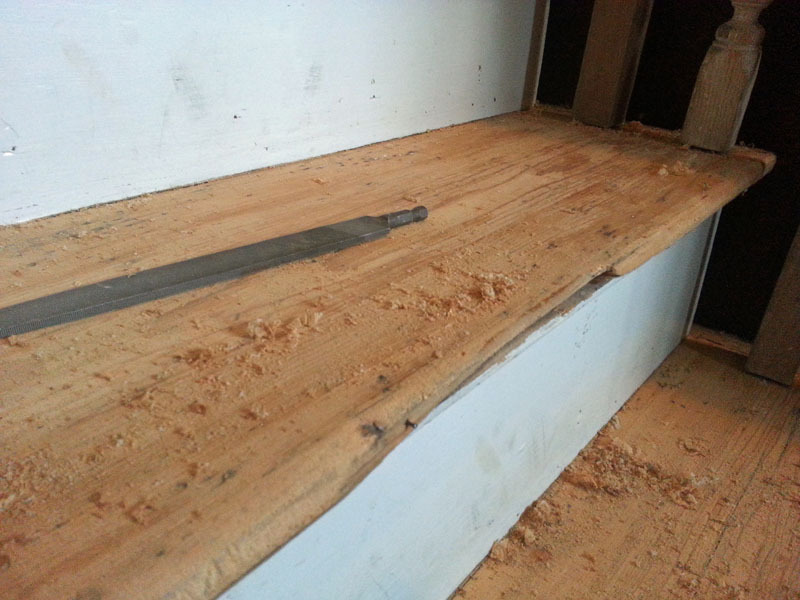 We can restore your hardwood floor to like-new condition, often at far less cost than replacement costs. Using eco-friendly finishes and glues, we can repair most damage like dents, water damage, show scuffs, cracks, and stains. 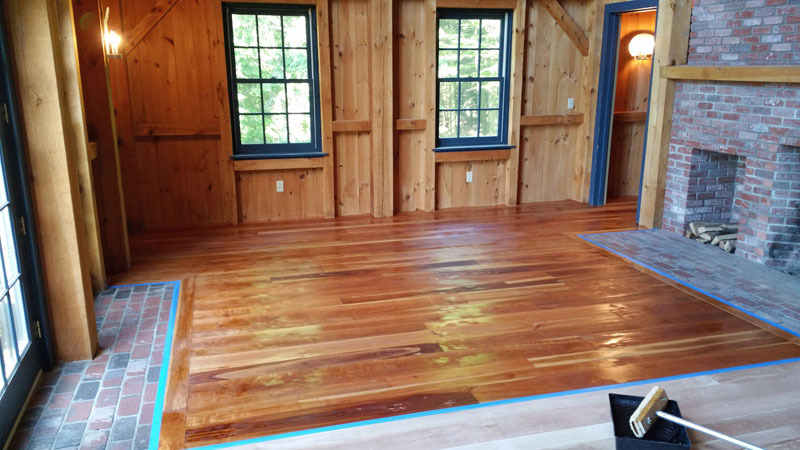 We use the latest techniques in refinishing your hardwood floor to give it the highest luster to a long hard durable finish. We install quality hardwood floors. We do maintenance, refinishing, repairs. We use eco-friendly finishes and glues.